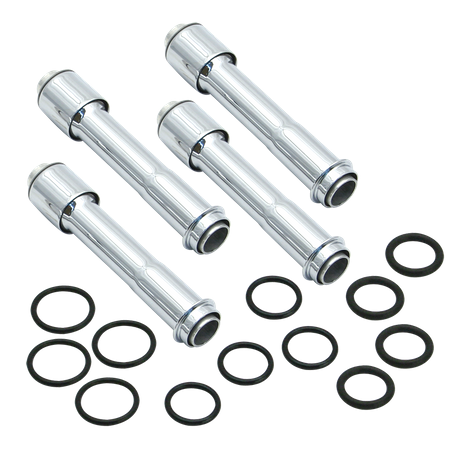 S&S® pushrod cover kits for 1984 - ' 99 HD® big twin and 1986 - '16 Sportster® models. Includes top and bottom covers, cover cap, cover spring, and spring washer for four pushrods. Keepers are not included because of the different length requirements of some engines, but are available separately.